Mediocrity is a Killer. Don’t Settle for it! – Whats your superpower? 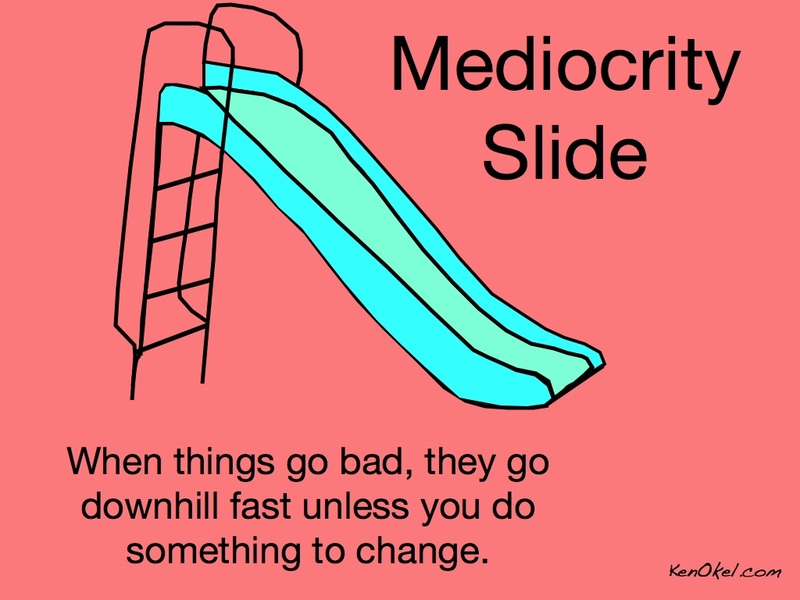 Mediocrity is a Killer. Don’t Settle for it! In both scenarios do you hear the resignation? The “it is what it is” in both voices? The 61 year old although seeking answers from Deepak, doesn’t expect much. The young boy assumes that there are more like him out there. I am saddened whenever I hear stories, or meet people as I go about my day, who seem to comfortably settle into a world of mediocrity. They think that there is nothing they can do; that they are powerless to change things in their lives. The resignation, the settling, the willingness to give up on one’s own magnificence is difficult for me to bear. The thing is that I’ve been settling too. Not with complete acceptance that things can’t get better but that they can only get better with the approval of some external “they” who will decide “MY WHEN” – based on their recognition and acceptance of my work. I am waiting to be accepted into “this club.” and have given over my power to an invisible board who will decide my fate. Recently I was talking with someone who claimed they were confused. I told them that they weren’t really confused they just chose to be in that state instead of having to face themselves and deal with whatever surfaced. Remaining in any situation, even one where you tell yourself that you’re confused is working for you on some level AND keeping you mediocre. Melody Fletcher, owner of the blog ‘Deliberate Receiving’ shares this great analogy. “When you’re at an amusement park, you don’t sit on the roller-coaster lamenting the fact that you’d rather be on another ride. You enjoy the crap out that roller coaster while looking forward to the next ride and the one after that and the one after that. What scares us is that there is no guarantee of better so we choose to stay with what’s familiar – where we are and what we know for sure! 2. If your important relationships are mediocre THIS IS DAMAGING you, your kids, your family life and your quality of life. 3. If your lifestyle is mediocre it’s like CHOOSING NOT TO LIVE! This is a cost too high to pay. You are a magnificent creative being, sent here to change the world in your own way. You were never meant to settle for mediocrity. It’s time for us to take a long hard look at where we are settling in our lives, to be honest about the damage it is really causing and what it is REALLY COSTING us and to commit to quit suffering, and start ASKING LIFE FOR MORE. We deserve it! Next postAre You Down in the Weeds or Up in the Trees?